Collector interest in the personal effects of the famous and infamous is certainly strong, with news noting auctions of noted personalities reporting surprising high bids. This is not a recent phenomena. The “St. 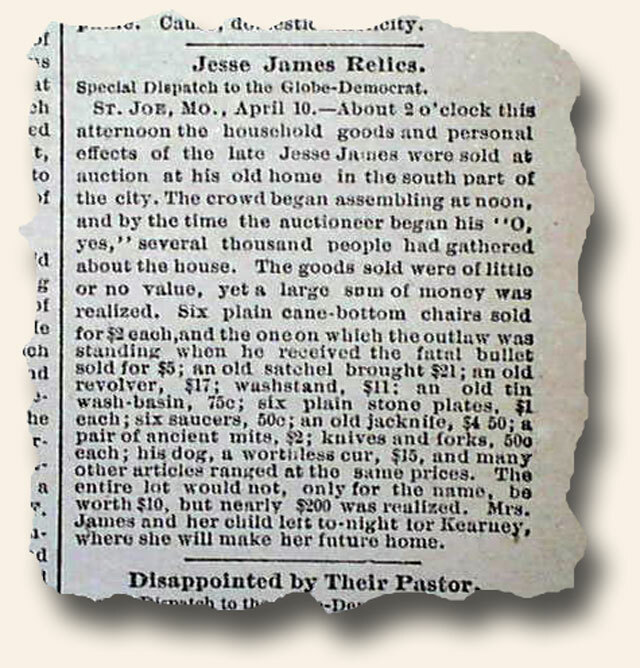 Louis Globe-Democrat” of April 11, 1882, contains a front page report headed: “Jesse James Relics” which reports on an auction of household goods at the home of the infamous bandit who was killed just 8 days prior. Interest in his personal effects was high, with the report noting in part: “…The crowd began assembling at noon…several thousand people had gathered about the house. The goods sold were of little or not value, yet a large sum of money was realized. 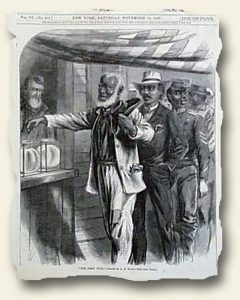 Six plain cane-bottom chairs sold for $2 each, and the one on which the outlaw was standing when he received the fatal bullet sold for $5…an old revolver, $17; washstand, $11…The entire lot would not, only for the name, be worth $10, but nearly $200 was realized…”. 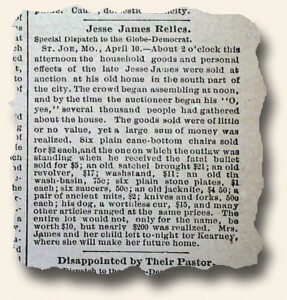 Can you image what these Jesse James belongings would sell for today? A revolver (the one noted above?) owned by Jesse James was in a Heritage auction in 2013 & was expected to bring $1.6 million. It did not sell. The April 27, 1881 issue of the rare “Elk Mountain Pilot” from the ghost town of Irwin, Colorado, has 3 interesting and unusual tidbits concerning the recent death of the noted outlaw, Jesse James: “Jesse James has climbed the golden stairs, (?) 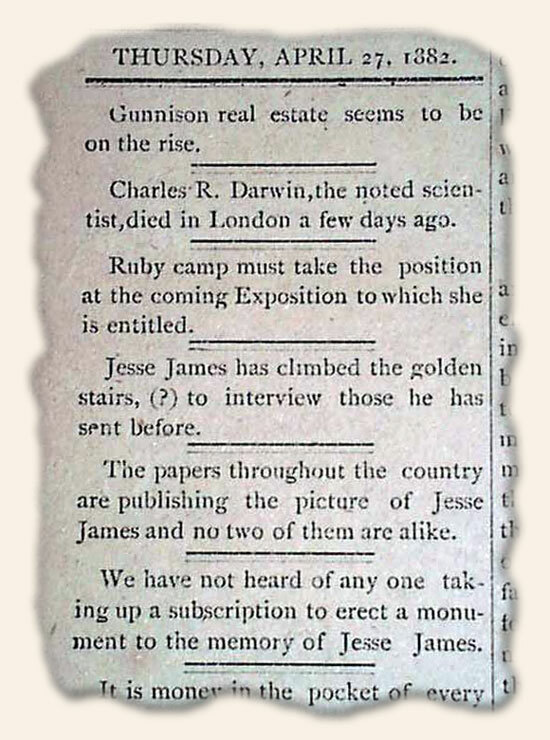 to interview those he has sent before.” and: “The papers throughout the country are publishing the picture of Jesse James and no two of them are alike.” as well as: “We have not heard of any one taking up a subscription to erect a monument to the memory of Jesse James.” Yet another tidbit mentions the death of Charles Darwin – making these mentions an interesting tandem.